When Ane Lillian Tveit came across research that showed a forward-to-back rocking motion calms babies more effectively than the traditional side-to-side motion of most cradles, she set about designing a new kind of crib. Her design would allow baby to enjoy a rhythmic forward swinging sensation, which the research suggested was especially soothing. When it was released back in 2011, the So-Ro Cradle won the Norwegian Design Council’s ‘Award for Design Excellence’ and it’s easy to see why. The innovative result is classic Scandinavian design: stylishly simple and practical. Beyond its sleek looks and alternative rocking action, the So-Ro also has a useful inbuilt mattress tilt feature – a sneaky sign that the designer is also an occupational therapist. Mums of babies with runny noses or reflux, will appreciate how handy this feature is. With three grades of elevation at the head there’s no need to stack towels or books under the cot mattress to try and get just the right tilt so baby can rest more easily. 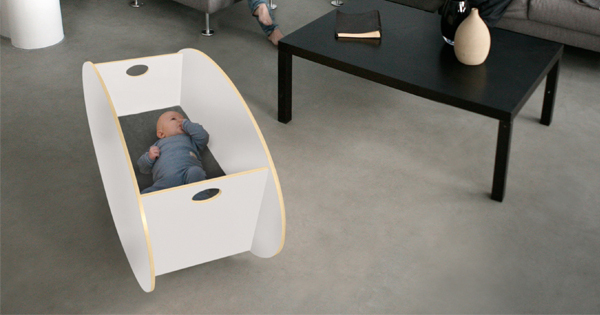 With a few styles to choose from, there’s bound to be a So-Ro cradle that suits any home. Colour options were originally limited to birch and walnut, but the crib is now available in a light and clean white as well. Whether you want a single crib or to use the cute double cot for twins, So-Ro has just the cradle to suit your family and your décor. 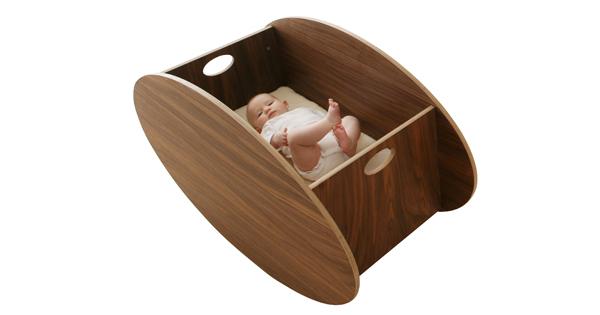 The So-Ro cradle is available in Walnut or White from Zoxoro for $1290.